The majority of these deaths occur in developing countries where healthcare systems are lacking to non-existent. However, with proper medical care, most maternal-related deaths and illnesses are completely preventable. Reports from the World Health Organisation show that children also suffer from the lack of maternal care in these communities, with 40 percent of deaths in children under 5 years old, occurring in newborns. While childbirth and infant mortality rates are declining, there is still a long way to go - especially in sub-Saharan Africa where progress has been slower. The numbers are devastating and a clear call to women and men around the globe to stand in solidarity against the systems that fail us all. The Hunger Project's community Epicentres in Africa provide women and children with access to healthcare facilities and services that improve their health and save their lives. The goal of our programs is to empower our village partners with fundamental knowledge about maternal health issues, so they can take charge within their own communities. 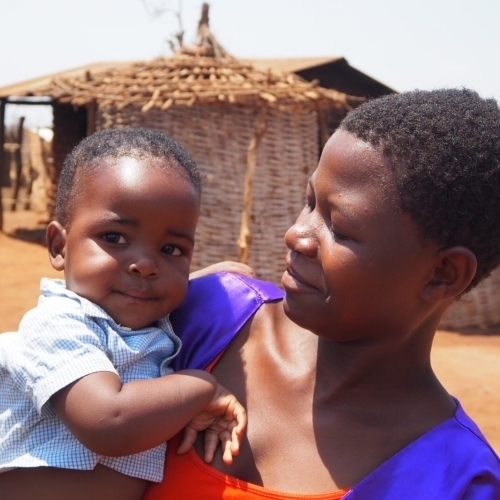 By increasing awareness around nutrition during pregnancy, family planning and pre and post-natal care, village leaders are able to develop community-led strategies that save the lives of mothers and children. With access to proper medical assistance, infections and other complications that commonly occur during pregnancy and childbirth can be treated and prevented and women are able to experience childbirth in clean, safe environments. As global citizens, we are all part of the solution to issues that affect women around the globe. For example, $25 could educate 20 mothers about healthy nutrition for themselves and their babies, and in doing so help prevent hunger and malnutrition.